INTRODUCTION: The aim of this study was to determine short-term outcomes of an intra- vs extra-corporeal anastomosis in laparoscopic hemicolectomy. METHODS: Retrospective chart review of 105 consecutive patients who underwent laparoscopic hemicolectomy performed by a single surgeon from January 2006-August 2008. Pearson Chi-square and student’s t-test were used to test for significance. 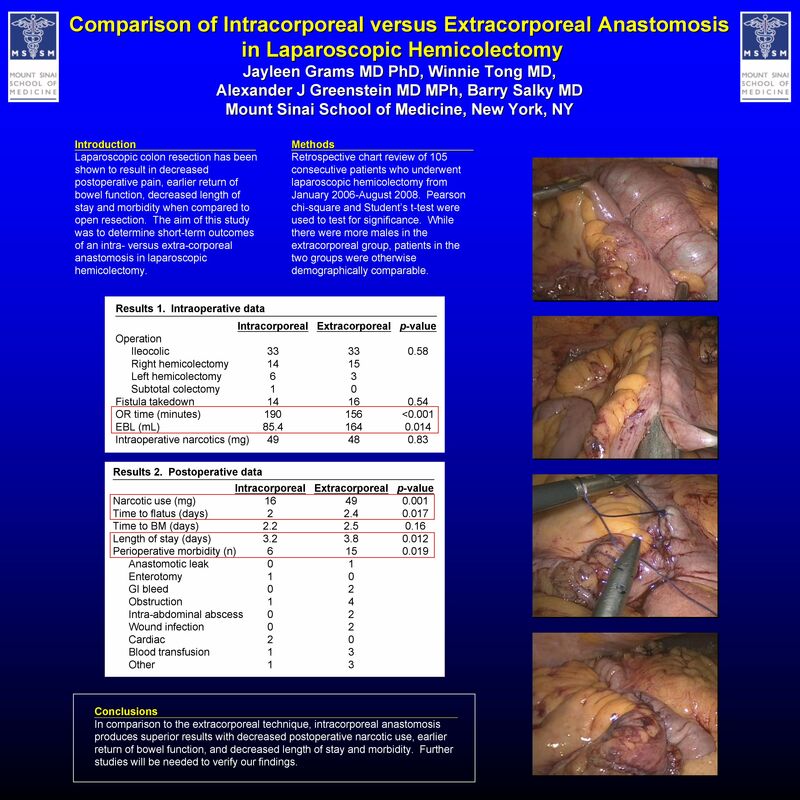 CONCLUSION: In comparison to the extracorporeal technique, intracorporeal anastomosis produces superior results with a shorter length of stay, decreased postoperative narcotic use, faster return of bowel function and decreased morbidity. Further studies will be needed to verify our findings.